Montparnasse is a lively and beautiful quarter in Paris, established in the 18th Century by French university students as a haven to recite poetry, dance and enjoy cabarets. During the 20th Century, Montparnasse was the intellectual and artistic center of Paris, all of which is embodied in the spirit of the Montparnasse Collection. 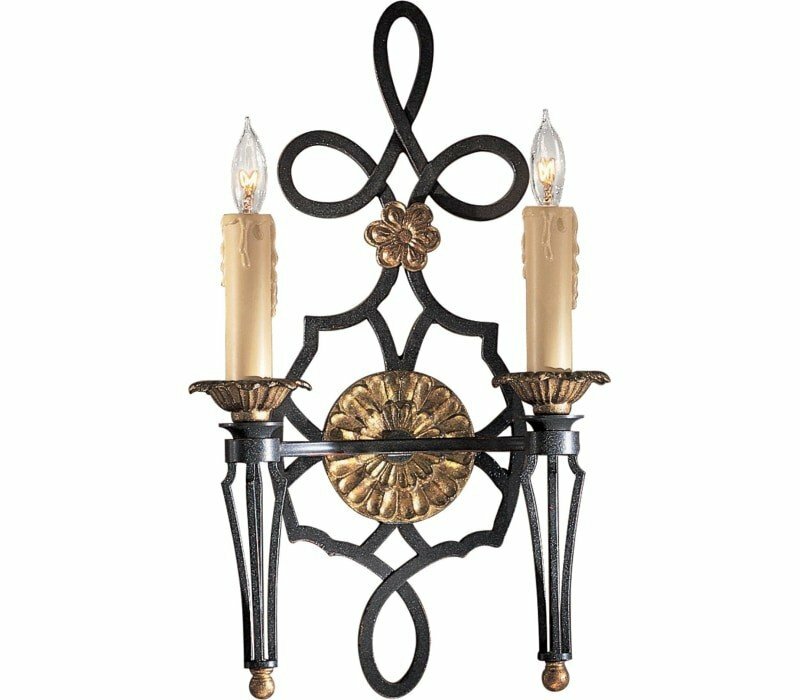 The Metropolitan N2100-20 Montparnasse collection Sconce Wall Lighting in French Black uses Incandescent light output and brings Antique style. This item is 20"H x 11.5"W x 6.75"D. The total wattage is 120 and the voltage is 120 volts. The Metropolitan N2100-20 requires 2 bulbs (not included).